High voltage, high amperage can severely injure or even kill when ceasing the heart of the victim. Severe burns are often times life altering since the burn victim is scarred for life. 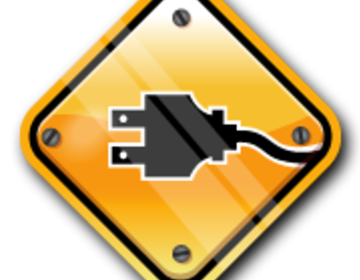 Sometimes these types of accidents are the fault of the victim; however, unexpected shocks or electrocution can sometimes be the carelessness of a negligent proprietor or the State of Nevada. A person should never be shocked walking down the street, eating at a restaurant, or due to other contractors' negligence, but these events unfortunately happen. Recently a Clark County tourist was killed when she stepped on a steel cover that had an electric lead connected. In this instance, not only did the tourist have government liability, but the Utility provider, Nevada Power had liability as well. Call Benson & Bingham immediately to discuss your legal options if you or a loved one has been electrocuted. Benson & Bingham is a firm that will make a "difference" in your personal injury matter. Phone calls are made directly to an attorney without secretarial screening. We believe in the personal touch and always being fair and reasonable with our clients. No case is too small and no case is too large whether it be in Las Vegas, Reno or any area of Nevada.